We recently vacationed on the Jersey shore. While there, I ordered a scallop dish at a wonderful little seafood restaurant that was served with risotto. This is a common combination. 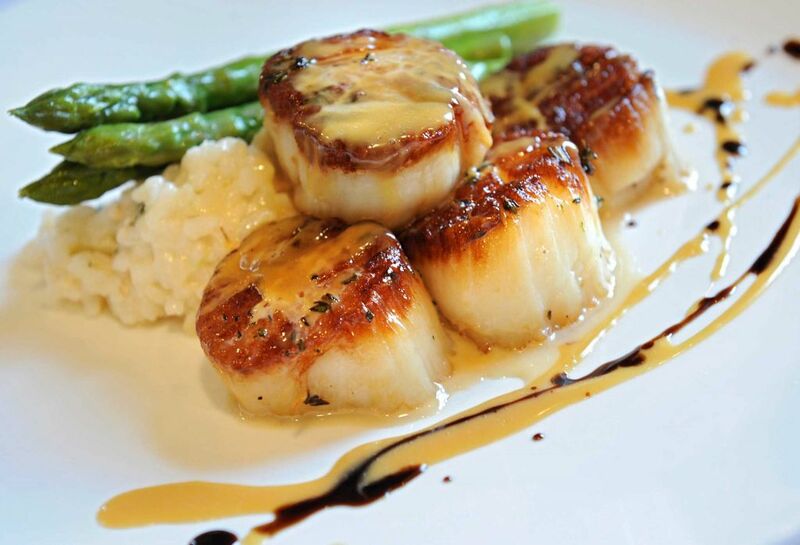 Perfectly caramelized, tender scallops, pair wonderfully with an al dente, and creamy risotto. Then, when I got home, I saw the below photo of the scallops and risotto at Maestro’s in Saratoga, from the Times Union review of the restaurant. Unfortunately, we only get a peek at the risotto, but that’s all we need. See it there, on the left?